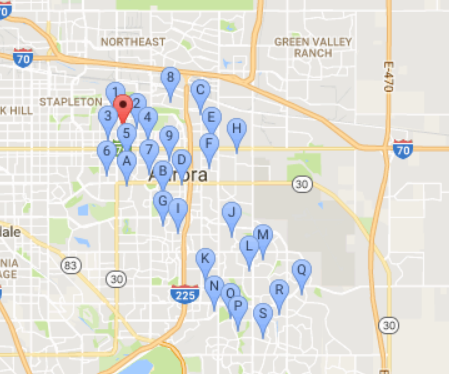 This resource should help to determine if your address is in a neighborhood serviced by Aurora Public Schools. You can type in your street address (house number, direction, street name and street type) to find information about the Aurora Public Schools elementary, middle or high school for your address. Zip Codes will be displayed with the address as validated by the U.S. Postal Service. The APS Boundary Schools display to the right of the map and school information is displayed when you click on the school link. Please Note: This tool is meant to be a general guide and should not be used to determine eligibility to attend a specific APS School. Once you discover which schools are in your neighborhood, find out more about these schools using our interactive map!